Leading – which leads the price and gives the signal of a reversal or a new trend in advance. Most of leading indicators are called oscillators as they oscillate within a bounded range. Lagging – which lags the price by signalling the occurrence of a reversal or a new trend after it has occurred. One of the most popular lagging indicator is moving average. 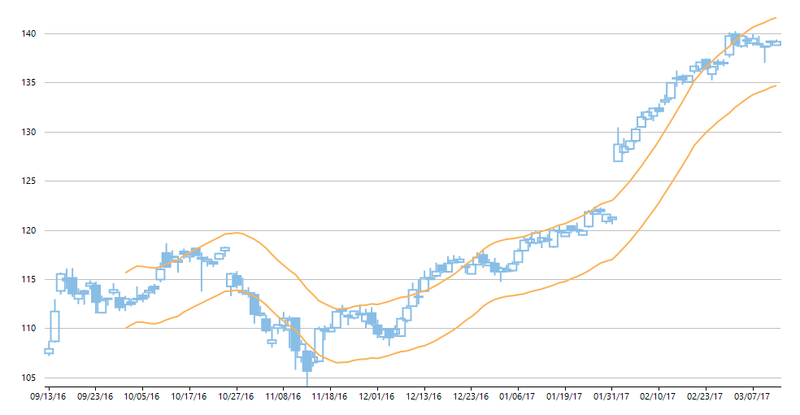 By default, "MACD series line" is calculated by subtracting 26-day exponential moving average from 12-day exponential moving average. 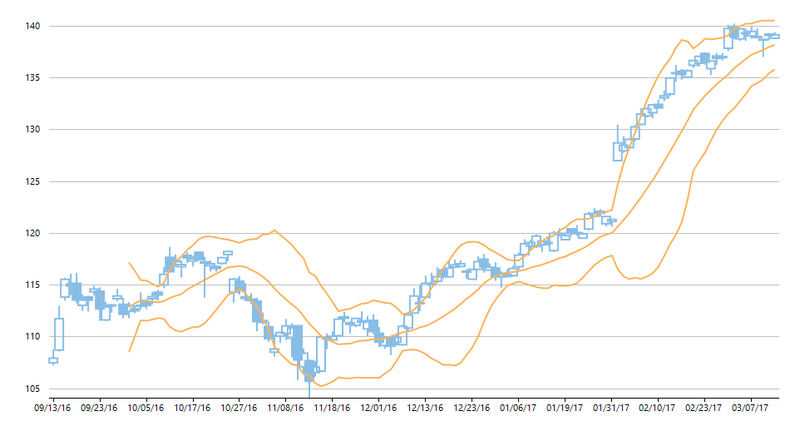 As these two moving average converge, cross and diverge, they make the MACD oscillator to fluctuate above and below the zero line. Convergence refers to the two underlying moving averages coming towards each other, while divergence refers to the two underlying moving averages drifting apart. A "signal line" is plotted on the top of the MACD oscillator. By default, it is a 9-day exponential moving average of MACD. "MACD Histogram" is an oscillator which measures the difference between the MACD line and the signal line. Just like MACD indicator, histogram also fluctuates above and below zero line. A middle band, plotted using simple moving average of defined period. An upper band, rendered two standard deviations above the middle band.